I really enjoyed the 31 day challenge and felt it was very beneficial. I loved taking a closer look at the principles and noticing how they live in me (or not.) It was particularly helpful in supporting me to hold true to myself and to advocate for myself in my current long distance relationship. I find it very interesting that I felt so ready for relationship (after lots of inner work and a long time being single) and that I was coming to a new one in a much more whole place within myself than ever before - and then stepping into relationship, and boom! All these triggers start showing up. It was quite a surprise that some of my core wounding was popping up again. The course was very timely in supporting me to speak up for myself on very deep principles (that it seems many people are not used to talking about or being so deeply honest about) - to walk through my fear of being rejected and hold true to myself while being present to relationship in a newer and more healthy way. So many of the principles were supportive of that: acceptance, tolerance, honesty, trust, patience, integrity, forgiveness, humility, fidelity, peace and equality. This has also helped to validate for me that I am interested in relationship as a spiritual practice and that I need to be with someone who is also. The course and my current 'partner' are also helping me to be more accountable for my own feelings and to learn to surrender to how the relationship unfolds organically, instead of trying to attach it to old or expected forms. It helps to remember that it is great experience for my own personal/spiritual development - and that I was really great on my own, and pretty solid before I entered into more intimate space with someone again. The course provided great tools for navigating this early stage of relationship and I am very grateful for all of this! The course was also helpful to remind me of how much progress/growth I have made and even more importantly, to not be so hard on myself - allowing me to be more forgiving and loving to myself. Aptly named as a 31 day challenge, I still struggle with, and am challenged by, dedicating time to spiritual practice everyday and wanting to do so (too) many things. I would be interested in the weekly format you suggested. I so appreciate this community and would love to continue to be a part of it. It was a very enriching, challenging, eyeopening and humbling 31 Day Challenge. It felt like a pearl necklace with each day connected to the other, yet each so individual with it's own depth, shape and hue. Acceptance being the silken string on which they were all beaded. The synchronicity on some of the days was mind boggling, amazing and very comforting, a message from the heavens. Also it seemed to me that if I truly could completely embody just one of the Spiritual Practices, I would automatically embody them all. The lessons for which I felt the least enthusiasm, were the ones with some deep messages for me personally. For example Abundance, sometimes I just can't hear the word abundance in the media anymore, but my experience with the challenge was totally different. It made me aware of how my withholding my gifts to the world, because of perceived unreadiness etc.. is actually stopping a natural flow. I felt a real sense of humility each time I had jumped the gun, and was profoundly grateful for the joy and experience of seeing differently. Also learning the value of the opposites was so freeing, on the day of moderation I completely lost it, and realized by the end of the day how deep my self judgments were. I only needed to see the word moderation to set a reactive chain in motion, now I am more consciously aware of this. When I came to this work, I was realizing that an unconscious life meant I became an intricate weave of ways of being without awareness. Many, if not most of those ways of being were learned and the stem of that learning was fear not love. These created the lens I saw life through and created my "reality", auto piloting my actions and behaviors. The Journey from Fear to Love allowed me to meet myself where I was; gently, without judgment and with curiosity. I learned that no matter what big challenges I may face, the only moment I can work with is this one. and I have only one choice to make in it... Do I choose love or do I choose fear? I am grateful to have done this challenge and plan to keep doing it as there are many layers here to work through. What might have seemed an insurmountable problem before I did this, is now just a sign post highlighting one or many parts of that learned fear ready to be transformed into love. This teaching when practiced acts as a light. One that supports and guides through what is at times a difficult and dark trek. This is transformative and highly recommended for anyone ready to explore within while falling in in love with what is here and now. I loved reading the uplifting material of your Online Course in the morning. It gave my mornings a better quality. The month of January was a very challenging and intense time for me, I had deep insights about my issues, and my core wound came up. With trust I became aware that in general I feel safe with my husband. I am very grateful for that! On the day of optimism your description of the empty glass touched me, that it`s purpose is to serve someone to drink, even when it is empty at the moment. With the help of your work I have recognized my gift to be good at gathering information (I learned that first with the Cycles work), and I am beginning to be more grateful for my gifts and to honor them (Gratitude). My relationship with my sister has significantly improved as I took back my projections and dealt with my stuff and I keep dealing with it (Equality). Important spiritual principles for me also were Humility, Integrity, Gentleness, Patience and Authenticity. 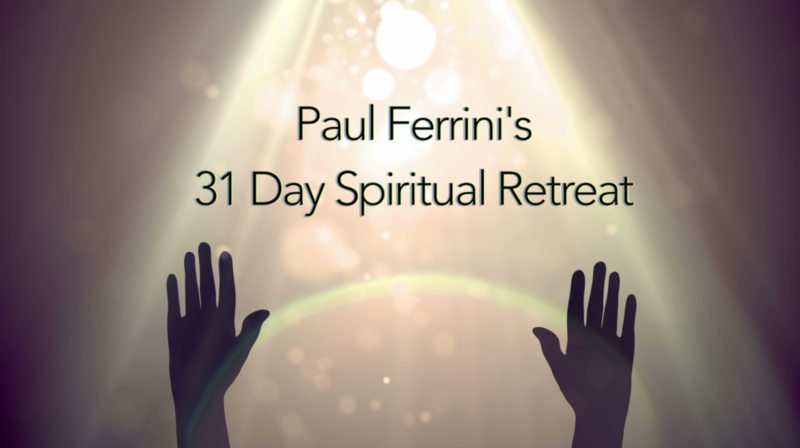 Overall I feel, that the 31 Days Spiritual Challenge was a very rich time which improved my self awareness a lot! I was only able to do about half of the days in the challenge, due to travel I had during January, But the days I did were hugely beneficial. I have more travel coming up in Feb, but plan to do the Journey again in March (hopefully all 31 days). Thank you so much for creating each of the 31 principles. 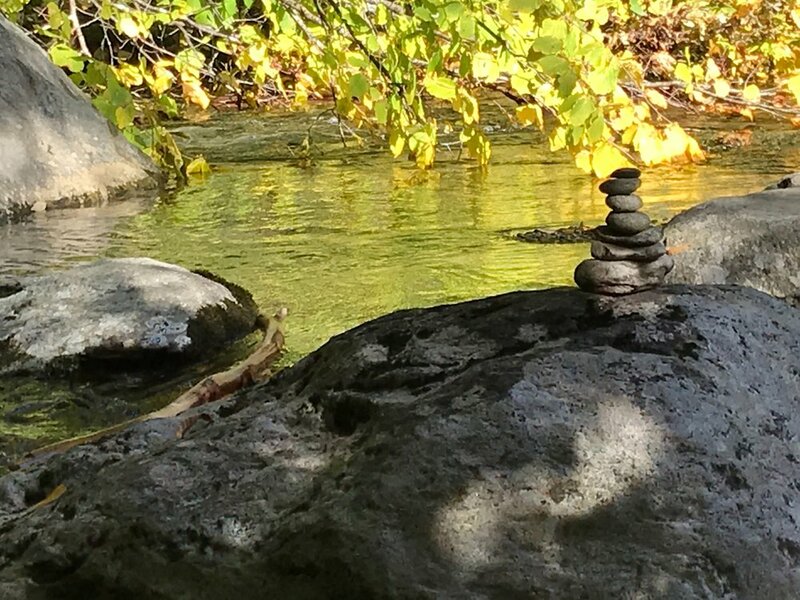 I'm finding new peace as I practice each one - acceptance, gentleness, honesty, faith, trust, ...I am ever so glad that I attended your retreat in October. Hope to attend another one next Fall. I feel that the “Challenge” was another building block in the work. Between all of this work and the work I have done with my therapist, I have learned how to show up more authentically. I am not looking for others to approve of me like I did in the past. I am really proud of the progress I have made in the past 2 years. With that said, teaching the work, has also presented another opportunity to go deeper. As I mentioned on the call the other day, my sister was my tormentor when I was a child. She was critical and controlling of me and has brought elements of this into our adult relationship. However, when we had a true Affinity style conversation last weekend, our relationship shifted. I spoke my truth. She had been totally unconscious of what she was doing to me. She called me this week and we had a normal conversation. She didn’t shut down. This is huge! I think that it is possible for us to have a more equal and respectful relationship in the future. Thank you for creating the e-course The Journey from Fear to Love. The principle, which addressed me the most, was Authenticity, because it helped me to diminish my false belief, that "if I am myself, other people will not like me or that I can even hurt other people by being myself". I like that the principles are possible to practice every day, since life is providing us with a lot of opportunities to practice. My recent experience is, that I had to accept, that something happened that I considered as unjust act - but instead of feeling like a victim, I accepted the the anger of my inner child, asked him for forgiveness, and took it as a opportunity to speak out, to express courage and to move toward Equality. The practices of the lessons have opened a lot for me very quickly. On Generosity: ' What does it feel like to doubt yourself and believe that you have nothing value to give ' This question from the practice led to a deeper realization i had an undercurrent of doubt around this . A new level of softness in myself is starting to reveal itself . All kinds of opportunities to give from an authentic place arise — from the bus stop, chance encounters while shopping, to the work environment . On Equality: this has a particularly deep impact on me. The practice observing where I felt ' less than or more than ' others led to deeper connection with everyone i meet. Being aware of this has led to more harmony in my relationships whatever the encounters are. I am less likely to be unnecessarily critical of others. Saying all this, the Hurt Child seems to be revealing itself more and more, but there is a growing awareness that this is a good thing. It is teaching me new levels of how to care for the child. I feel that this course and the other aspects of your teaching are working their magic.